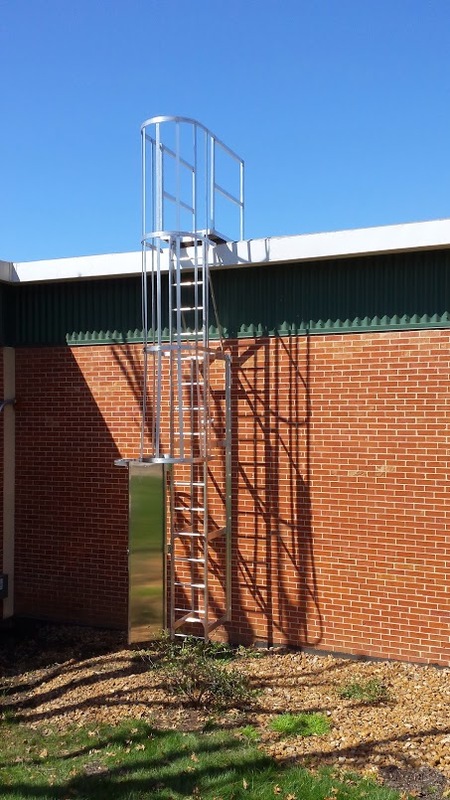 Our customer was in need of a “custom-fit” caged safety ladder to allow access to their roof area without having to manhandle ladders. 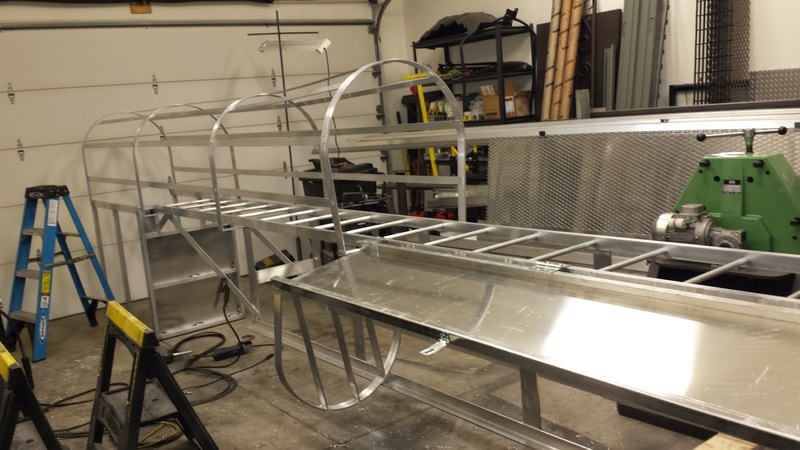 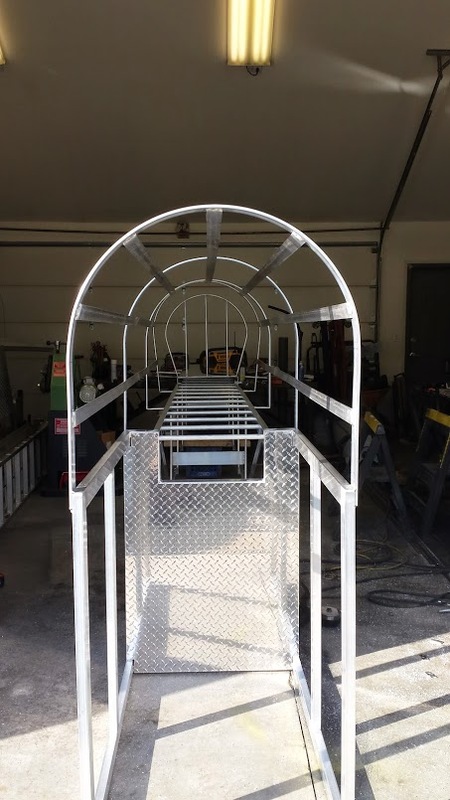 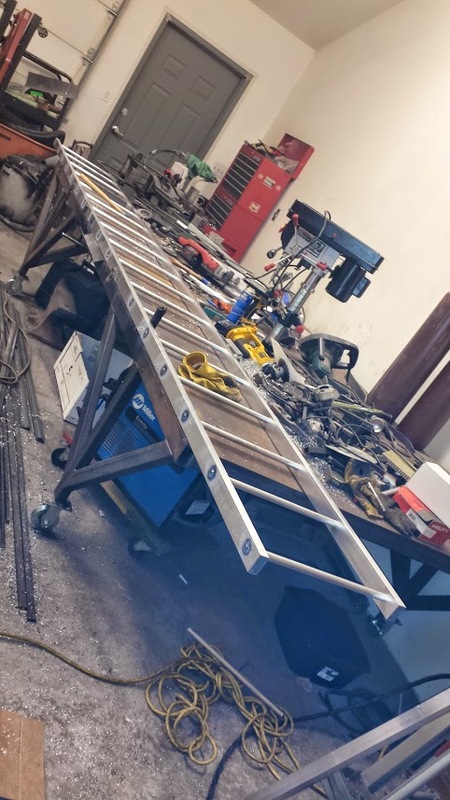 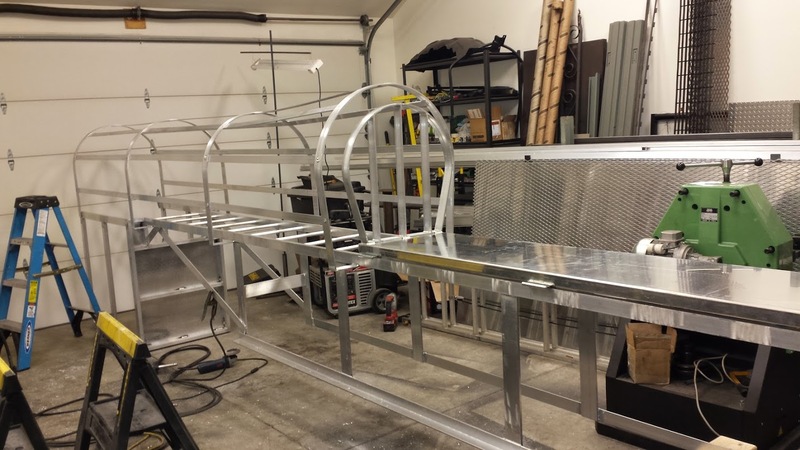 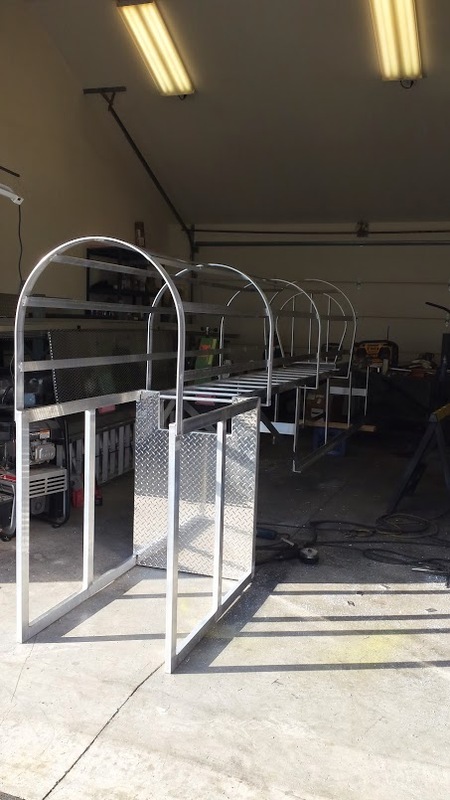 They originally were looking for a steel safety ladder but after reviewing the pros and cons of having to maintain the finish on steel, we convinced them to go with mill finished aluminum. 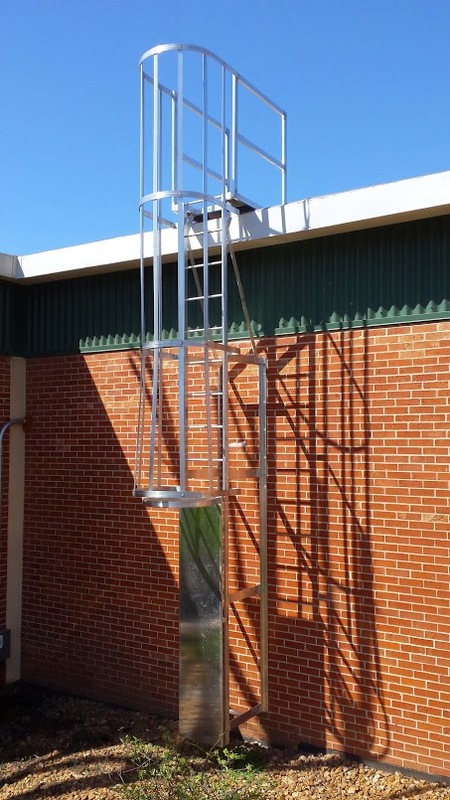 They were concerned about public access to the ladder. 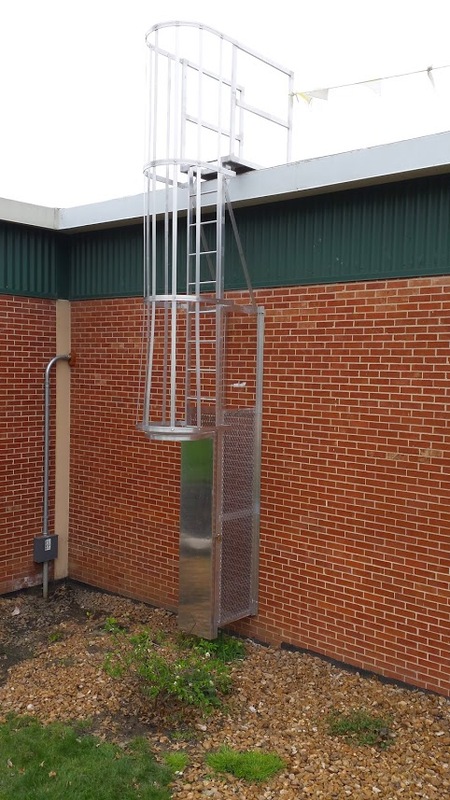 We designed a solution for that concern…a hinged, lockable, ladder shielding door with cage access blocking unit attached to it. 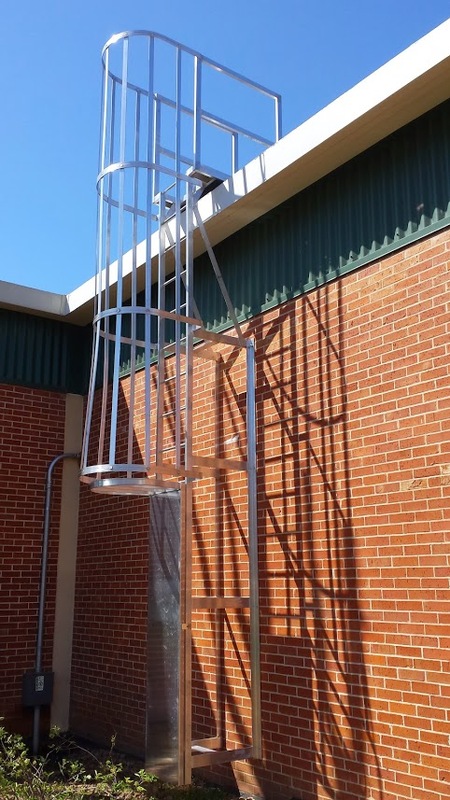 As you can see, we had to allow for the overhang of the building in order to meet all OSHA requirements for construction of the ladder. 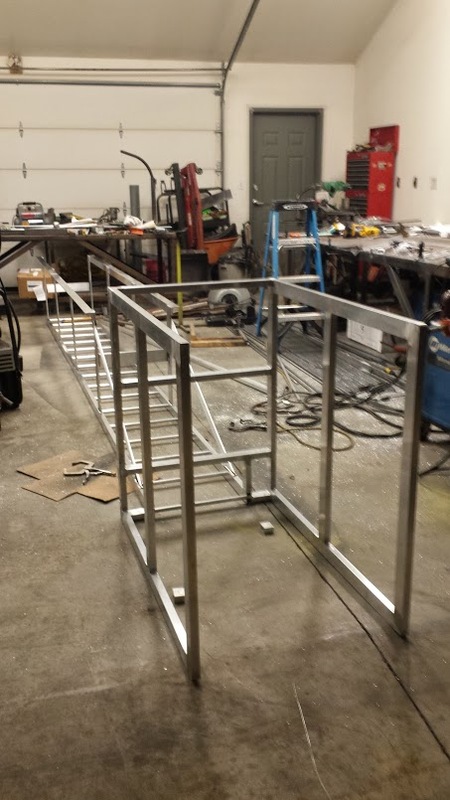 We added wire mesh guard panels on both sides to eliminate access from the side. 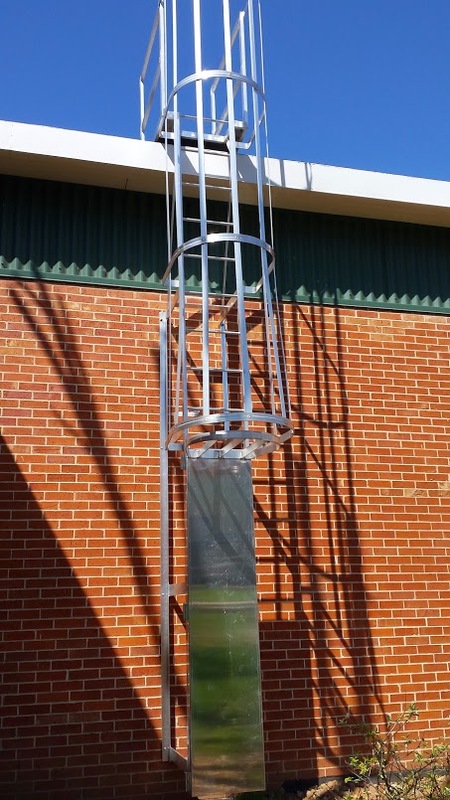 The installation went very well and our customer was extremely happy with the product and the custom design.